The book of Exodus is the story of God rescuing the children of Israel from Egypt and forging a special relationship with them. 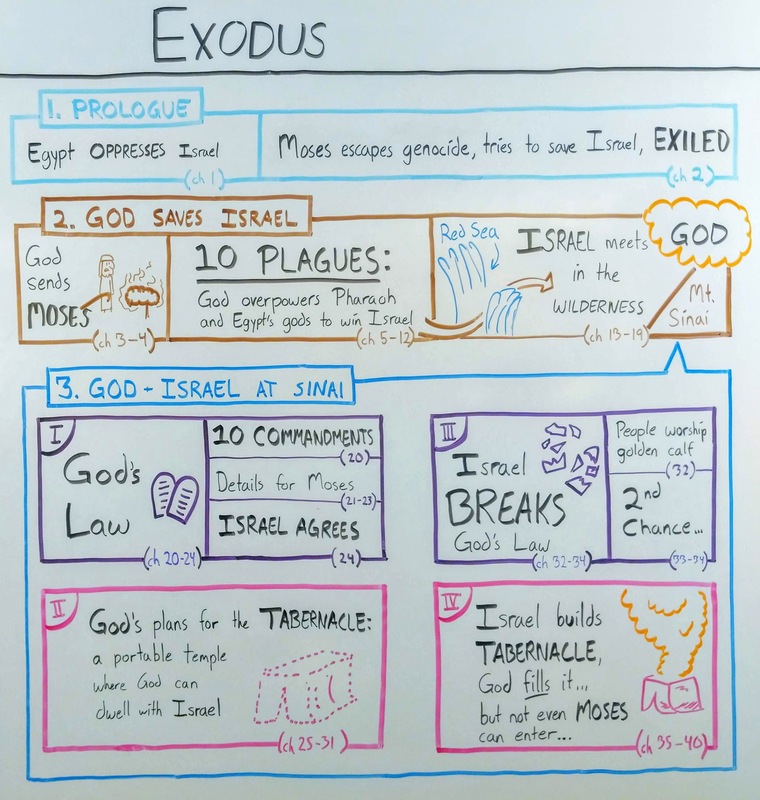 Exodus is the second book of the Pentateuch (the five books of Moses), and it’s where we find the stories of the Ten Plagues, the first Passover, the parting of the Red Sea, and the Ten Commandments. The book gets its name from the nation of Israel’s mass emigration from Egypt, but that’s only the first part of the story. This book follows Israel out of Egypt into the desert, where the nation is specifically aligned with God (as opposed to the idols of Egypt and the surrounding nations). This is the book in which God first lays out his expectations for the people of Israel—we know these expectations as the 10 Commandments. Most of the Old Testament is about how Israel meets (or fails to meet) these expectations. So if you want to understand any other book of the Old Testament, you’ll need a basic understanding of what happens in Exodus. Exodus has a tight cast of important characters to keep an eye on. God (Yahweh)—the creator of heaven and earth and the divine being who chooses the nation of Israel to represent him on earth. 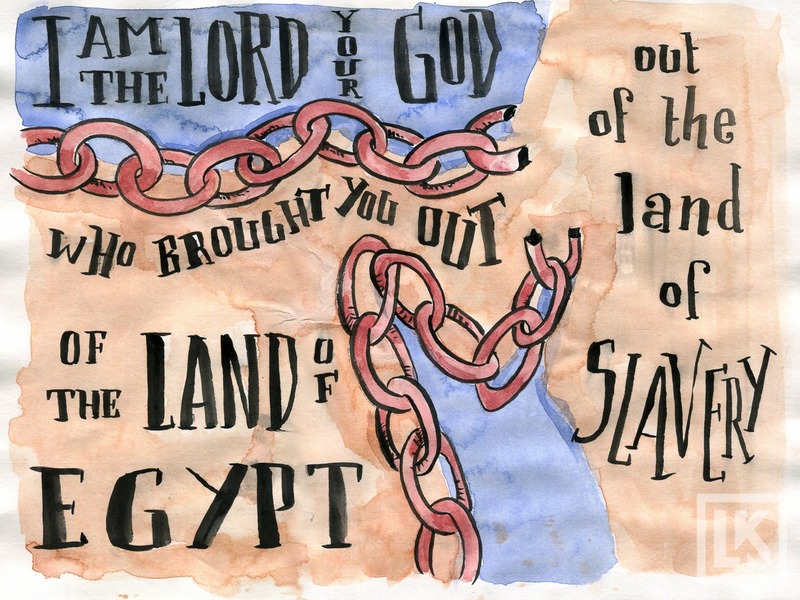 God goes to war against the gods of Egypt, frees Israel from their tyranny, and then makes a pact with the new nation. While the rest of the nations serve lesser gods, Yahweh selects the descendants of Abraham, Isaac, and Jacob as the people group that will serve him and him alone. Moses—the greatest of the Old Testament prophets who serves as a go-between for God and the other humans in the book of Exodus. Moses negotiates with Pharaoh for Israel’s freedom, passes God’s laws on to the people of Israel, and even pleads for mercy on Israel’s behalf when they anger God. Aaron—Moses’ brother and right hand. 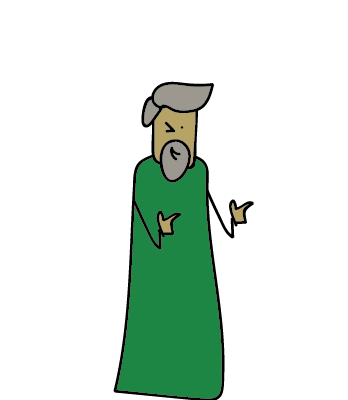 Aaron assists Moses as a spokesperson, and eventually is made the high priest of the nation of Israel. Pharaoh—the chief antagonist in the Exodus story. Pharaoh enslaves the nation of Israel, commits genocide, and is generally a huge jerk.Pharaoh is worshiped as part of the Egyptian pantheon: a lesser god laying an illegitimate claim to God’s people. God defeats Pharaoh and the gods of Egypt by sending a series of ten devastating plagues, and finally destroying Pharaoh’s army in the Red Sea. Exodus is all about God making Israel his own. God rescues the descendants of Abraham, Isaac, and Jacob (whom he made some important promises to back in Genesis). Then, he gives them his expectations—a list of dos and don’ts. Finally, God sets up camp in the midst of the new nation: they are his people, and he is their God. Let’s take a quick spin through some of Exodus’ themes. It’s hard to miss this one! The entire book is about God hearing Israel’s cries for help, rescuing them from their oppressors, and making them his own. Like the rest of the Torah, covenant is a big theme here. God makes a solemn, binding agreement with the people of Israel, establishing himself as their god and them as his people. This relationship comes with certain expectations, with benefits for the Israelites if they uphold their end of the agreement, and consequences if they do not. Toward the beginning of the book, the cries of Israel rise up to God, who hears them and remembers his promises to Abraham back in Genesis. In the middle of the book, God meets Israel in the wilderness: he is high atop a mountain, and they are on the plain below. God is closer to the people, but still a ways off. However, by the end of the book, God is dwelling in the middle of Israel’s camp in the wilderness. Moses believes that it is God’s presence among the people that sets Israel apart from every other nation in the world (Exod 33:16). This is related to the theme of covenant—specifically, the expectations God has for the people of Israel. From chapter 20 onward, we start seeing more and more directives for the people on how to live as the people of God. Exodus is where the story of the Bible really starts picking up. God has already made his promises to Abraham: his descendants would be a mighty people, they would possess the land of Canaan, and through them the whole earth will be blessed by God. While in Genesis we see God working through a family, in Exodus we see God working with an entire nation. Exodus is a starburst of Old and New Testament theology. God is faithful, and keeps His promise to Abraham (Gn 15:13–21) by judging the Egyptians and liberating Israel. The Lord also gives Israel the first iteration of the Law, and begins to dwell among His people in the tabernacle. God’s liberation of Israel from slavery foreshadows His work to redeem the nations (Ro 6:17–18), just as His judgment on His people serves as an example for Christians now (1 Co 10:6–13). Exodus is also where God reveals His memorial name: YHWH, or LORD (Ex 3:14; 6:3). Exodus picks up where Genesis leaves off: the young nation of Israel is in Egypt (they were invited by Joseph, the one with the famous coat). A new Pharaoh notices the Israelites multiplying, and enslaves them. Afraid of an uprising, he orders that all Hebrew sons should be cast into the Nile at birth. But one baby boy escapes this fate: the Hebrew Moses grows up in Pharaoh’s household. When adult Moses kills an abusive Egyptian slave driver, he flees the country. Forty years later, God appears to Moses as a burning bush and sends him to deliver Israel from the hand of Pharaoh. Moses, with the help of his brother Aaron, confronts Pharaoh on God’s behalf: “Let My people go” (Ex 5:1). Pharaoh refuses, and so God sends those famous 10 plagues upon the Egyptians. When the last plague kills Pharaoh’s son, he finally allows Israel to leave. The Israelites celebrate the first-ever Passover, and then set out into the wilderness. Pharaoh changes his mind and sends his army to recapture them. 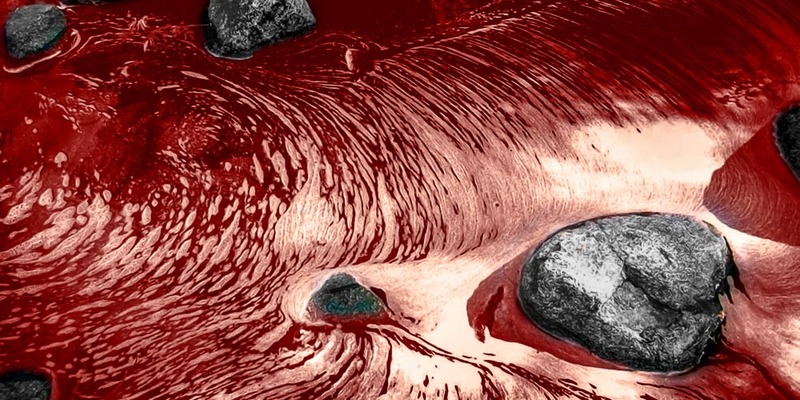 God saves Israel miraculously by parting the Red Sea and allowing Israel to escape their would-be captors—and then uses the sea to wash away Pharaoh’s army. The Israelites leave Egypt and make their way to the foot of Mount Sinai in the wilderness. God descends on the top of the mountain, and then, something amazing happens. The Israelites leave Egypt and make their way to Mount Sinai, where God gives His laws to Moses. God makes a covenant with the nation of Israel and the generations to come: because He rescued them from Egypt, Israel is to observe His rules. God speaks the Ten Commandments directly to the whole nation of Israel, and He relays specific ordinances to Moses on the mountain. And the people agree to it! After this, God makes plans for a place of worship. He’s going to come down from the mountaintop and dwell in the midst of the people of Israel—but in order for this to happen, the people need to prepare a portable tabernacle for him. God gives Moses the plans for the tabernacle, the sacred furniture, and the garments for the priests. But already things aren’t going as planned. While God is giving Moses laws for the people, the people start worshiping a golden calf … not cool. Moses pleads with God on Israel’s behalf, and the nation is given another go at keeping God’s commands. And so Israel builds the tabernacle: a holy tent. The book of Exodus ends with the glory of the LORD filling the tabernacle. God is now dwelling among His chosen people, Israel. However, now there’s another problem: how will the people live in the presence of such a holy and powerful being? That’s what the next book, Leviticus is all about. When you join the OverviewBible email list, you’ll get one book-of-the-Bible overview emailed to you every week, along with other Bible-study tips. Lula, you can find them all here. Enjoy! Oh my..those breakdowns added immensely to my study of the Word. I appreciate to effort that took . I just signed on for more…. I have enjoyed your survey work of the O.T. books. Are we allowed to print them? If so is there a format for that? Thank you Jeffery. I appreciate your work. I am using your fantastic explanations and began sharing your videos as the focus at my men’s ministry – Brick Breakers. They are a blessing. Glad to hear they’re useful, Scott—thanks for the kind words! These videos are awesome! Thank you! The Bible can be overwhelming and confusing, but these videos clear up the big picture as I walk through the Bible verse by verse throughout the year. 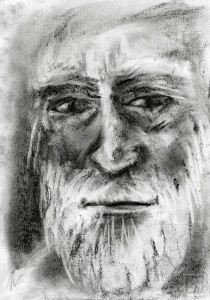 God blessed you with the talent to both draw and compose sketches. It lays a foundation for me to draw in the details and colors to make it mine. Thanks! What a kind note—thank you! 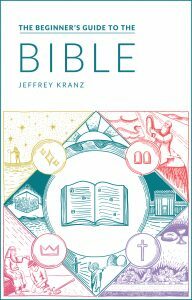 We’ve considered making a Bible outline coloring book … would that be something you’d find useful? Super kind of you to let me know how helpful this is, Mira. Thank you! Clear and very good presentation on the Exodus. Thank you very much, Jeffrey. What a blessing!